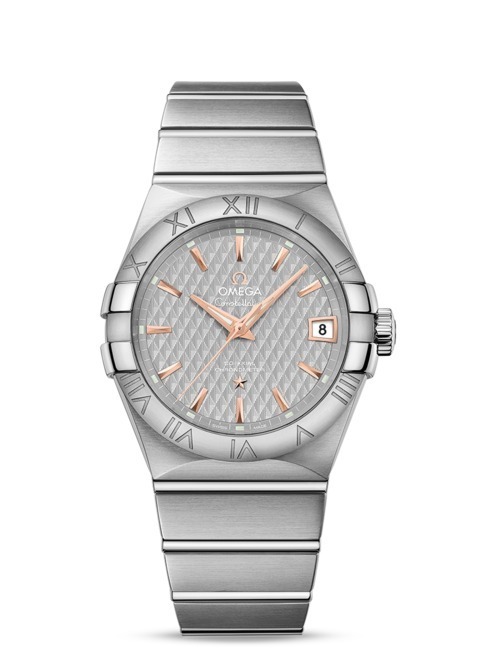 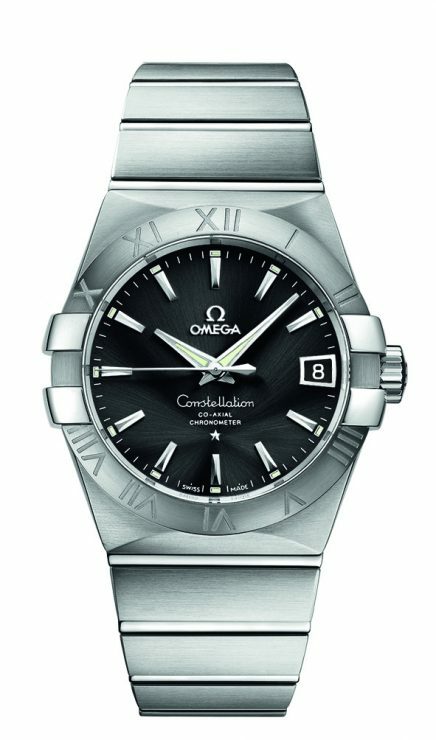 The OMEGA Constellation is an eye-catching and instantly recognisable timepiece, making a real statement on the wrist. 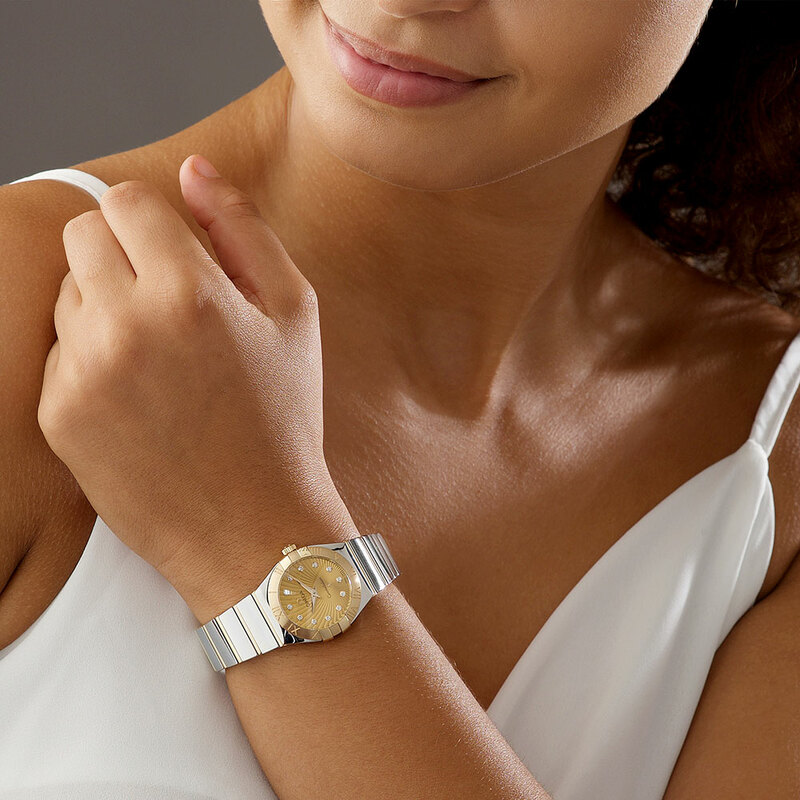 This model looks superb in polished stainless steel and 18ct gold, in particular the contrast between the brushed gold bezel and the polished gold of the trademark Constellation “claws” which sit at 3 and 9 o’clock. 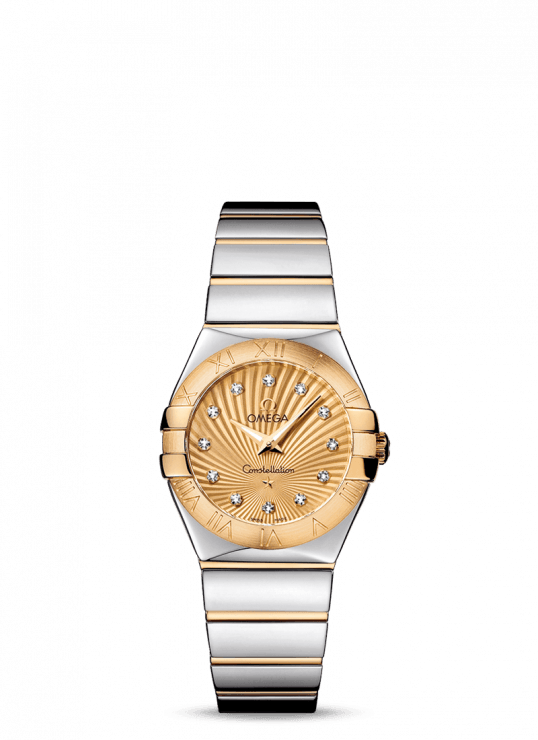 The real star of the piece however is the dial, a stunning “Supernova” design with waves of gold striking out from the signature Constellation star just above 6 o’clock and finished with twelve Diamonds set as hour markers. 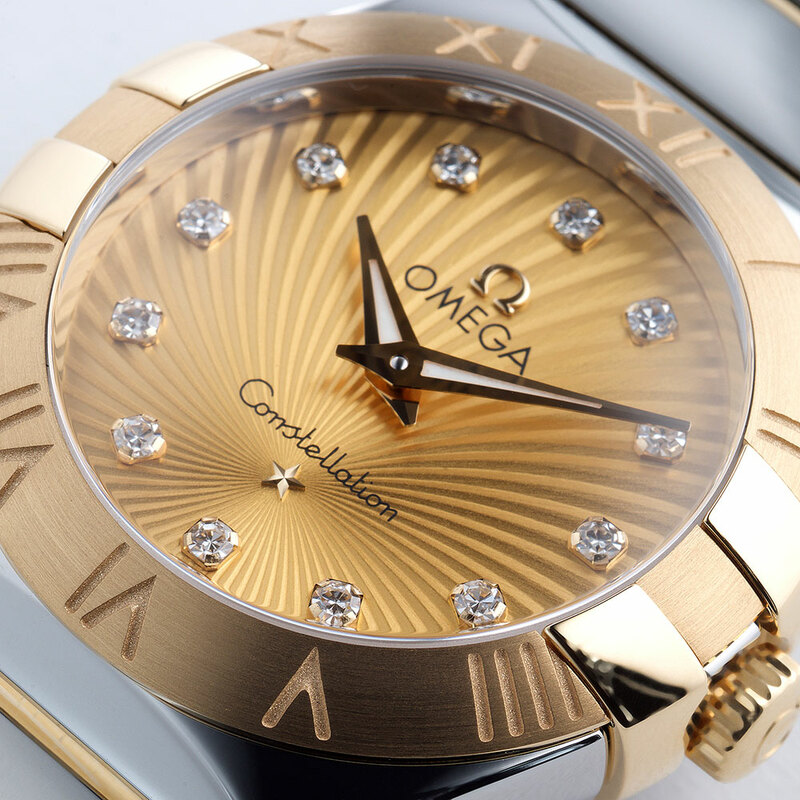 The quartz movement is guaranteed for 2 years. 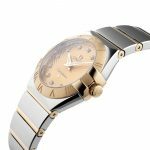 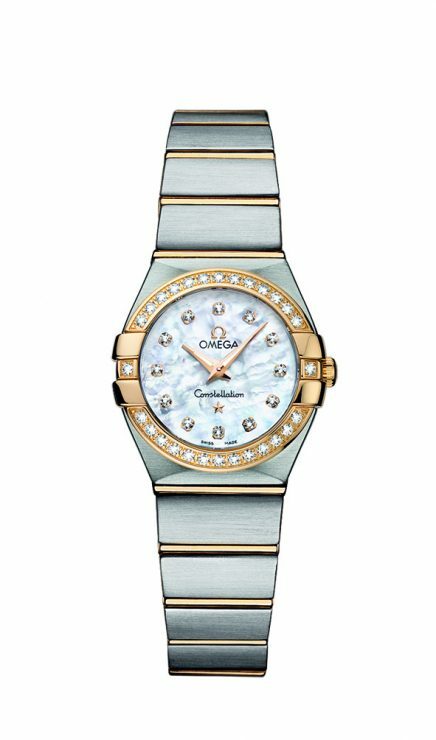 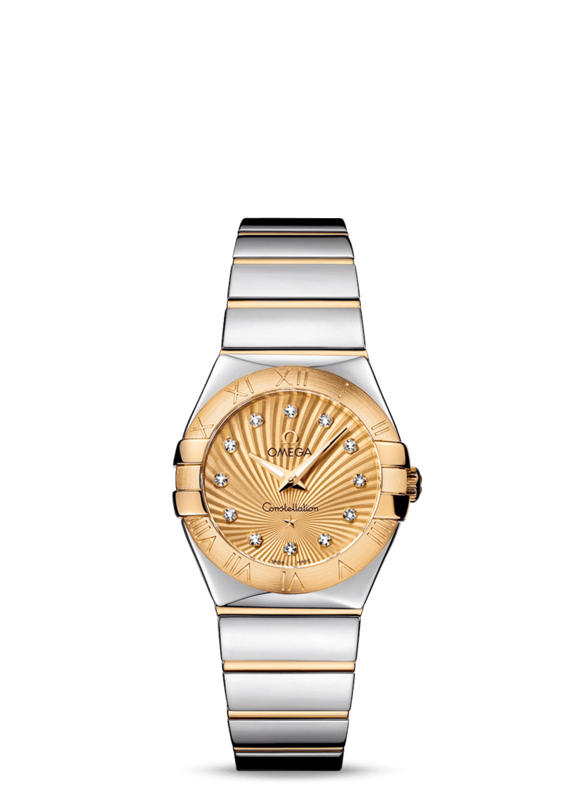 Omega Constellation 27mm Steel & 18ct Yellow Gold Ladies Watch has been successfully added to your shopping bag.